The case against a man accused of killing a popular Preston mum has suffered a delay. Benjamin Topping, 25, was due to appear before Preston Crown Court tomorrow - Friday - to enter a plea to an allegation of murder. However, on Thursday, after an application by barristers, the Honorary Recorder of Preston, Judge Mark Brown, agreed to adjourn the hearing. Topping is now expected to appear on May 23. The popular mum was found dead on a pavement close to the junction with Village Drive in Moor Nook on February 7. Police responded to reports of an "altercation" in Pope Lane and discovered her body a short time later. 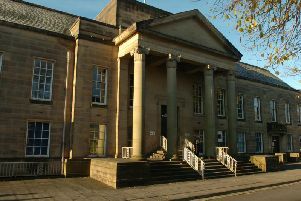 Her partner Benjamin Topping, 25, of St George’s Road, Preston, was charged with murder following his arrest.